SecSign ID provides a unique and highly secure two-factor authentication for your IT systems. Registration and login process per smartphone only require a minimum effort and are easy to use. No additional software installation is required on the user´s computer. The user does not need any additional hardware (card readers, tokens) either but only the free app and the own smartphone. No confidential data are entered into the web browser for authentication – this unique feature of the solution makes SecSign ID different from other procedures. The complete key generation takes place on the smartphone. The private keys are never transmitted to the SecSign ID server. In addition to the precautions determined by the system, the private key is protected with the patented SafeKey procedure against brute force attacks. 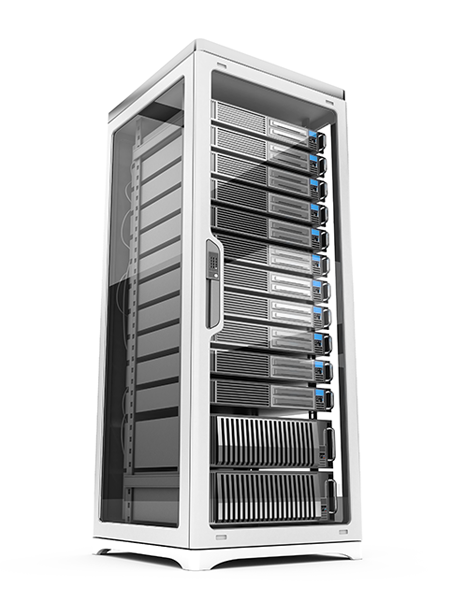 In order to guarantee maximum failure-safety, the SecSign ID servers are operated redundantly in independent data centers in a high availability environment. We put great emphasis on data economy (no phone numbers, no SMS, etc. ): The SecSign ID server does to need any cell phone number or other private user data. Furthermore, the user does not have to spend time and effort for re-typing codes which are sent to him, for example, by SMS or which are generated on the smartphone. Every owner of a SecSign ID has access to SecSign Portal. The security level of the authentication procedure with SecSign ID is similar to the login procedure with smart cards and secure PIN entry. In both cases the authentication is made after the user has verified with a challenge response procedure the possession (of the smartphone, respectively the smart card) and knowledge of password or PIN). No entry of confidential information is required. In both cases encryption procedures, which are secure according to current knowledge, are used for the challenge response procedure. The crucial benefit of the authentication procedure with SecSign ID results from the fact that the user only requires one single app on the own smartphone.There is no need for additional software or even hardware or the installation of other programs, e.g. on the PC. The smartphone SecSign app is available for free in AppStore (iPhone) or the PlayStore (Android). There will be no costs for licenses or maintenance. The SecSign ID app reacts identically to other apps on the user´s smartphone, and thus will be familiar to the user. Therefore, users do not have to be IT experts to use the SecSign ID app. When using a smart card for a login, the user must have the smart card as well as a card reader at hand. The user must also connect the card reader with the used PC and install the respective driver software. By using the smartphone, which is with the user anyway, these requirements can be dropped. * This is just a small selection of the available plugins and interfaces. For more plugins please see this page. Any web portal can integrate easily and for free the access with SecSign ID to use a two-factor authentication. With ready-to-use plugins and interfaces the integration will not take more than a few minutes. For the respective integration detailed and pictured instructions are available. please see the website for developers. Please also visit our GitHub account. Operate the ID server in your own data center and enjoy the full range of configuration options of the ID server, no matter if as independent ID server or combined with the existing user administration. We will be happy to advise on the implementation of SecSign ID in your company.